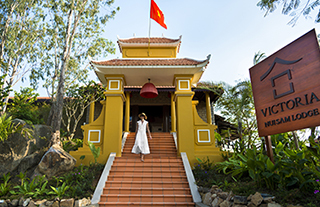 Situated in the Mekong Delta, Victoria Nui Sam Lodge offers a unique concept focusing on health and wellness, at the heart of lush nature. 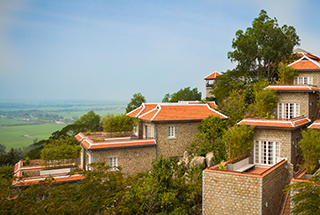 The hotel is located 7 kilometers away from Chau Doc City, on the side of Sam Mountain which is 284-meter high. 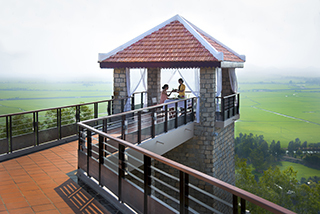 That location provides stunning scenery over the surrounding rice paddy fields. It is also a great venue to take a stroll, on the hotel’s “healthy trail” for example. You may also hire mountain bikes to discover the place. 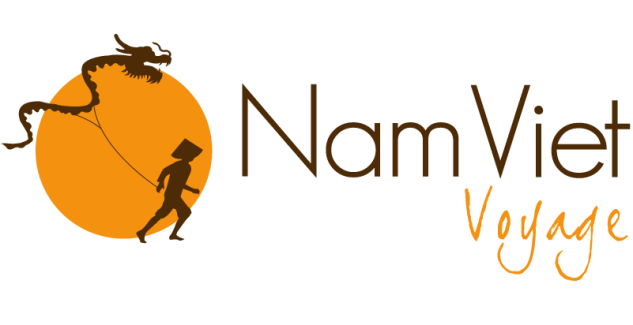 Besides, Victoria Nui Sam Lodge offers 36 stone bungalows featuring private terraces. The design may be simple but very tasteful, with tile floors and wooden furniture. 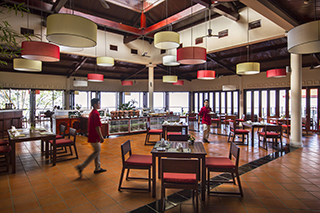 The place has its own restaurant, La Giang Restaurant & Bar, which serves Vietnamese cuisine and an international and Asian breakfast. What you may like the most though is probably the infinite pool located on the top level of the hotel, within the Sky Deck, where you can unwind while drinking a cocktail.